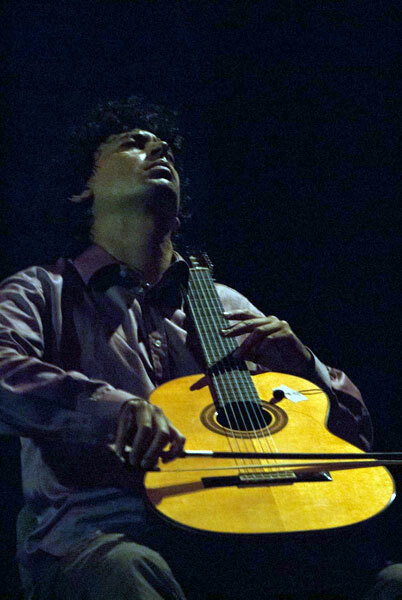 For he very first time flamenco versions of the music of the prominent cuban composer LEO BROUWER. Within the name of “Ediciones Espiral Eterna 2012” record seal of Brouwer itself, Awarded as best album was SOLOIST CUBADISCO CONCERTANTE in Festival 2013, was recently presented the performace at the IV Leo Bouwer’s Chamber Music Festival at La Habana, Cuba, from october 3 to 13, 2012. “BROUWER FLAMENCO” We are therefore justified in describing Tacoronte’s renditions as masterful, for, conserving Brower’s complex harmonies and rarefied passages, the guitarist managed to re-frame the pianist’s pieces (as in the case of “Drume negrita”), or dissolve and couple them with melodic variations. EXCELLENT!!! "Del Flamenco al Hijo" ("From Flamenco a Son") was born in Como A synthetis of Cuban music and flamenco. It represents a journey in musical styles that have enriched the repertoire of contemporary guitar and formed an important part. Career as a composer and performer of flamenco Tacoronte Joshua the Son has contradictory TWO:. 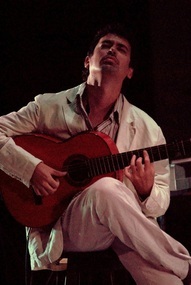 "Flamenco", where music is the Cuban composer. Decor highlighted by vibrant colors, harmonies, rhythms and techniques of modern flamenco guitar, without giving a broad interpretation to complex elements timbral variety we know today. The second part of rogram Yes called "Cuban Guitar The Feeling On", which are the source of a wide range of Cuban composers, as stories. Isaac Nicola, Ernesto Lecuona, Nico Rojas, Eliseo Grenet, Other Busi This music program is inspired by the fusion of percussion, song and dance, which meet in different styles, resulting in the design of the UN that is a rich harmony Chavez and rhythms (Tango, Guajira, Bulería, Rumba, Tientos) and contemporary style that also has defined our modern flamenco jazz repertoire.